The University of Central Florida recently launched an initiative giving students and faculty anytime, anywhere, any-device access to instructional, research and administrative resources. Here's how. Faculty and students can log into UCF Apps via app or Web browser to access the software they need anywhere, anytime on any device. At the University of Central Florida, students and faculty can now connect to the software they need anywhere, anytime, from any computing device — laptop, tablet, desktop or smartphone. The recently launched UCF Apps application-streaming initiative aims to turn the second largest university in the nation into a completely mobile campus, giving users ubiquitous access to software as if it were locally installed. CT asked project leaders JP Peters, IT and communications director, and Craig Froehlich, director of information technology, how they approached the initiative's design, build and adoption. UCF Apps is based on virtualization technology from Citrix. Virtualization can be used in many ways, Froehlich noted, so he recommended that institutions determine early on exactly how they want to deploy the technology. "We decided on application streaming," he said, "but there are also other things you can do. Defining this upfront will help you decide what vendors to engage, and what other things you might want to do. We chose to do application streaming because it allows students to have apps anytime, anywhere." Peters and Froehlich selected Citrix for the project because it works on any device (via app or Web version), with minimal configuration required for the end user. Other vendors included Dell for hardware and consulting services; Microsoft for licensing for remote desktops and for the Office suite; Cisco for networking equipment; and AppSense for profile and performance management. Another potential use of the virtualization technology is to create a virtual desktop infrastructure, Froehlich explained. "We're looking at this as a future use case for faculty and staff," he said, noting that the project's funding model made application streaming the primary focus. "Priority one now is applications. But we are also examining how Citrix technology could be used going forward, as part of our virtualization strategy." The UCF Apps project, which Peters called "the most collaborative of any project we've had since 2009," involves all 13 colleges and four or five divisions of the university, all of which have contribute their time and/or money to make it happen. Funding is also derived from the UCF Technology Fee. "We were looking for a mobile collaboration solution that could be funded with our Student Tech Fee — officially called the UCF Technology Fee," explained Peters. "But we were also looking for additional funding." He noted that UCF Apps is the first project where the university has done anything on that scale, across the board, and not just with the IT group. Peters and Froehlich agree that the longest and most difficult part of the process is the funding. After funding is in place, Peters advised, "Give yourself six to eight months for implementation." This includes two to three months for design meetings, and an additional three to four months to get the hardware in place and work with the central IT group. Peters and Froehlich cautioned institutions to make sure the project is scalable for the size of their institution. In addition to current priorities, they suggested, consider needs that may arise in the future. By ensuring that the solution you implement now can scale in the future, you will save time and resources. Early in the project, Peters and Froehlich advised, make sure that someone is appointed as project manager. To ensure continuity and success, the appointed project manager should be someone who can be there from the beginning to the end of the project. Decision-making for UCF Apps is driven by an ongoing governance group. Ideally, noted Froehlich and Peters, the governance group should comprise all contributing colleges and divisions. The group determines the features and new applications that should be added to UCF Apps, and addresses any problems or issues with the environment. Peters and Froehlich also pointed out that the project team typically gets a lot of feedback on how to improve services. For this reason, it's important to establish a support infrastructure and to have that infrastructure in place well ahead of the launch. 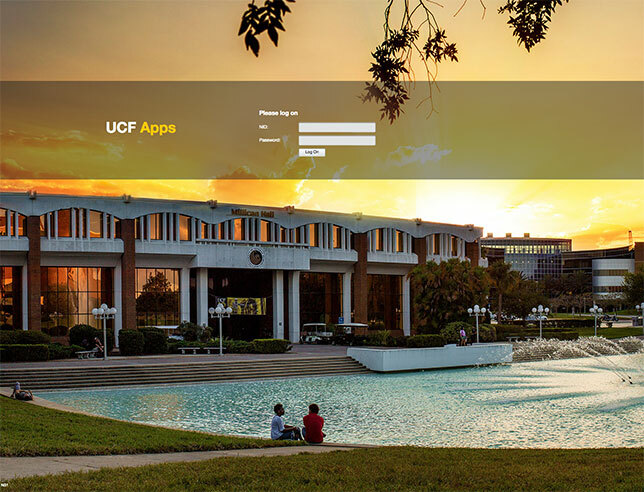 The UCF Apps Web site is the first stop for support; UCF also has a main IT service desk and service at every college, as well as a Tier 2 team to manage major issues. In order to create a mobile-enabled campus, the UCF technology team is making changes that go beyond the infrastructure: They are also transforming the campus physically. For example, the Technology Commons area, formerly a 240-seat computer lab, has been redesigned as a more collaborative learning space. Instead of rows and rows of computers, the Commons features study areas and comfortable seating where students can plug into larger monitors, as well as group seating for collaborative study. "The Technology Commons is an example of how we're trying to provide not just technology but a complete vision, in order to create a truly mobile campus," said Froehlich. Froehlich and Peters agreed on one vital ingredient for project success: getting students and faculty on board. "Marketing is a big piece of the plan," said Peters. "You have to do a lot of marketing in order for the project to be successful," he said, emphasizing that he "did a lot of road shows" in order to get the UCF colleges on board for UCF Apps. The UCF team also worked with Citrix to put together a student demo video, an optional offering for all schools that sign on with the vendor. Citrix provides production services, as well as whatever additional support the institution requests. The UCF Apps Web site provides a central resource for students. "The Web site is crucial to the success of the project," Peters explained. "We use the site to encapsulate the project, and to give students access to the software they need for their coursework — anywhere, anytime, on any device. They don't have to stand in line. Everything is right there for them. Once they log on, they can do it all." The team also created a marketing toolkit with collateral, PowerPoint slides and digital signage for faculty presentations. In addition, Froehlich and Peters issued e-mail notifications to both students and faculty, and promoted the new service through social media. "We also recognized that if faculty model adoption, students are more likely to follow," said Peters. "We attended faculty meetings and did demos; worked with faculty to give them syllabus language; and encouraged faculty to put their syllabi online." In addition, they are planning an event on Marketplace Day, a day when students congregate at the Student Union. "We'll use that as a platform to demo the project, and to give students an opportunity to get on board with the apps," said Peters. Peters cautioned: "Make sure you hit a lot of marketing channels. You never know what students are paying attention to — or what faculty pay attention to. Our job is to get them excited about UCF Apps." The UCF Apps launch coincided with the return of students on Jan. 12, 2015. Initial signups and feedback are still flowing in for the multi-year pilot. "All of our feedback has been tied to analytics," said Froehlich. "As of the end of last month, there were 3,000 unique users since the launch, and about 5,400 sessions." And the numbers are going up — doubling from week to week. "We don't expect all 60,000 students to log in," Froehlich concluded, "but we expect a comfortable capacity by the middle of the current semester."